My daughters-Mason, 9 and Delaney, 6-are in Tucson this weekend with my parents, who live there. My mother took the girls to the Tucson Symphony Orchestra’s “Just for Kids” performance this morning. When the girls left Phoenix yesterday with their grandparents, they were so excited and my mom was eager to share a cultural adventure with them. But on their way back to my parents’ home after the TSO performance, they were startled by a passing parade of shrieking ambulances and police cars. My mother commented that something “big” must have happened and turned on the radio. 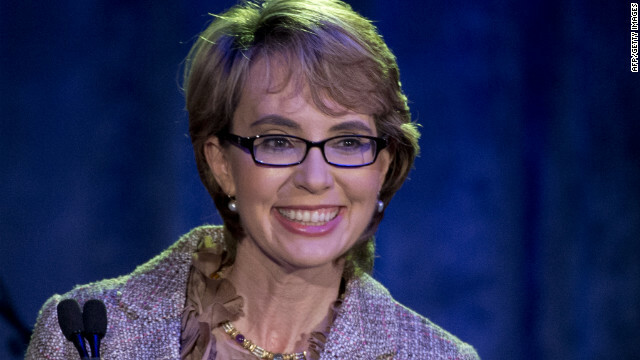 She and my daughters together learned the shocking news that Congresswoman Gabrielle Giffords had been shot, along with several other people at a shopping mall a few short miles away. My father, who had seen the news on television, informed me immediately by phone; he knew I would be worried. He assured me that my mother and daughters were safe and on their way back to my parents’ home. Like many Americans, I spent the hours immediately after the shooting surfing the Internet to get the most up-to-date news. I posted links and comments on my Facebook page, while frequently refreshing the Huffington Post live blog. I ranted. I mourned. I tried to keep up with the various and sometimes conflicting versions posted about the shooting’s details and its gruesome aftermath. And when I heard that a 9-year old girl had been killed in the attack, I cried. I wondered what I would say to my own daughters. When I did talk to the girls, about an hour after the attack, I told each of them how much I loved them. I told them that Mommy was praying, as were many other people in the state of Arizona and the country, for Congresswoman Giffords, her husband, and their children. I explained that the Congresswoman had already done so much for the people of our state, and that when she recovers, she will do even more. And I reassured them that such an act of violence, especially at our own front door, is a rare occurrence indeed. What I did not, and could not, share with them is my cold rage about an incident that I can only describe as domestic terrorism. While pundits and policy makers alike have used such ubiquitous terms as horrific, senseless, and unspeakable to describe the tragedy, I want to suggest that we can and should attempt to make some sense of this assault and that it is not, in fact, unspeakable. Indeed, the shootings demand that we speak about them and that we hold accountable not only the shooter, but also the politicians and talking heads who foster violence and intolerance. 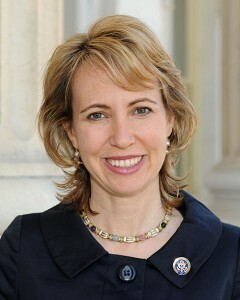 Congresswoman Giffords-no left-wing democrat, but rather a motorcycle-riding, gun-owning, cheerful moderate-represents a district in a state that is mired in hatred, including numerous acts of violence against immigrants and elected officials. The 2010 mid-term elections here were especially ugly and vitriolic-which can be frightening when citizens are armed. It is worth noting that last year, Governor Jan Brewer signed a law allowing the people of Arizona to carry concealed weapons without a permit; previously, she approved a law allowing loaded guns in restaurants and bars. Many commentators will frame today’s tragedy as the work of individual pathology, a shocking exception to the rule of law and order. Still others will suggest that politics has no place in our collective response to today’s events. Republicans such as Sarah Palin and John McCain, who frequently engage in violent rhetoric, will issue hypocritical statements expressing their horror and dismay. Yet in 2010, Sarah Palin’s Political Action Committee launched a campaign featuring Democrats “targeted” with a disturbing visual of crosshairs-an image that was reportedly removed from Palin’s site shortly after the shootings, given that Congresswoman Giffords was one of the featured targets. I want to argue for a different framing of today’s act of domestic terrorism: while the shooting is indeed a heinous crime and represents “a sad day for our country,” as Senate Majority Leader Harry Reid described it, it is not a unique tragedy perpetrated by a lone, crazy gunman. The shooting is fundamentally part of a systematic pattern of hatred and intolerance. It represents the poisoned fruit of years of violent rhetoric in the state of Arizona and nationally. And it embodies the despicable undercurrent of the conservative so-called “culture of life” that celebrates militarism, disavows the safety and wellbeing of all Americans, and sows national discord. 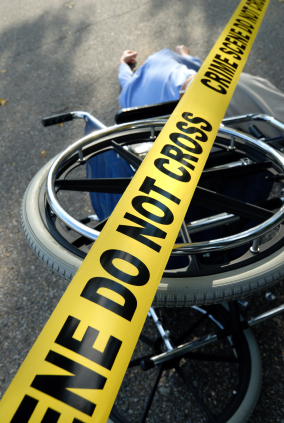 Today, five people are dead in Tucson, including a 9-year old girl and a respected judge. A beloved congresswoman, a wife and mother, is fighting for her life in a Tucson hospital. Yes, let us grieve. But also let us speak loudly and without rancor about truth and the American way.